To assess maker projects in your class, begin with a three-part rubric to guide students through process, understanding, and product. While many teachers are excited about the maker movement and may even be creating projects for their classrooms, assessment can be puzzling even to veteran classroom teachers. How can teachers prove that deep, rich learning is occurring through making? How do we justify a grade to students and parents alike, especially to the student who "just isn’t good at art"? By crafting a three-part rubric that assesses process, understanding, and product, teachers can rest assured that they are covering all the bases. The process of making in the classroom needs to be incorporated in the final grade. 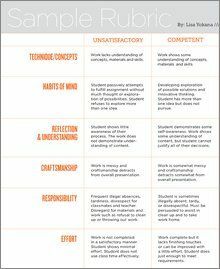 Is each student fully engaged? Do students use their time wisely? Have they come to class prepared with research and materials? 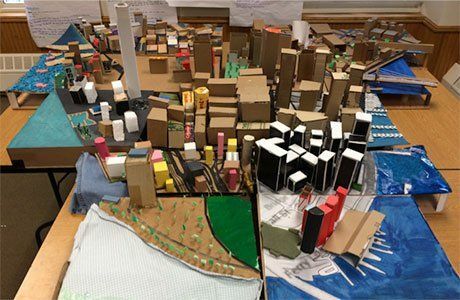 As part of a recent project in my school's senior-level public policy class, students crafted scale models of Lower Manhattan in preparation for a disaster simulation. Research on the infrastructure of their area had to be completed in order for students to have the knowledge to build. To ease social studies teachers' anxiety over this part of the grading, I encouraged them to take photographs and videos of the students in action. This gave them a record of individual student engagement over several days' time, which they could refer back to when finalizing grades for the project. 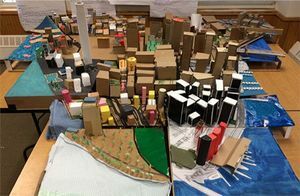 Students created a scale model of lower Manhattan in City 2.0 at Scarsdale High School. Students must demonstrate an understanding of materials and tools. Do your students grasp the nature and properties of different materials? Can they manipulate them and use them appropriately? A student who is using metal and repeatedly bends it until it breaks doesn't show a basic understanding of its nature. Spend a few days in a maker classroom and you will understand that cleaning up, as well as safety, is also important. Do students treat the materials, tools, and space respectfully? Are they considerate of others' process and creations? Creating a "safe" space in the maker classroom, both literally and figuratively, will allow your students to experiment with unusual ideas and build their creative confidence, while negativity or unsafe practices will inhibit them. What did you do when you didn't know what to do? Making students aware of their choices and actions in these situations empowers them and will help them the next time they struggle. Let them know that you are going to assess their willingness to take risks. Their first idea should not be their final and only one. Expect them to test their ideas and reiterate. An innovator's mindset can be learned through thinking routines, and students can become confident and comfortable in that awkward place of not knowing the "right" answer. The rubric must capture and assess the understanding gained through the process of making. Begin by asking yourself what material and knowledge you want students to understand through the project. A sample rubric (click to enlarge). Their projects are artifacts which capture their learning and must be broken apart and analyzed in the same way as a "real" artifact. Ask students to tell the story of their understanding: Did the physical act of putting things together help them make sense of the complex relationships between the parts and pieces of knowledge? Did they have an "aha moment"? Often, I ask students to write a reflection or give a formal presentation of their project in which they justify their choices of materials and format to ensure that they were purposeful. Why did they use a certain material? Why did they choose a certain format, such as a three-dimensional object rather than a two-dimensional one, to convey their ideas? Younger students will likely be less inhibited about verbally sharing these thoughts with the class. Does the construction detract from the project? Has the student successfully manipulated the materials? Does the viewer notice badly-crafted details or is the implementation seamless? 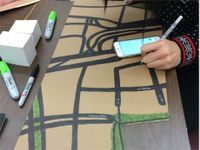 For students whose making skills are still emerging, the written reflection allows them to articulate their intent, while the craftsmanship grade encourages them to pay attention to both manipulation and mastery of materials. 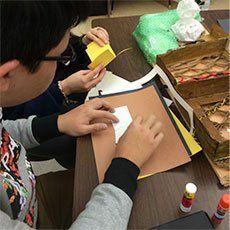 In a successful maker project, such as our disaster preparedness unit at Scarsdale High School, students create an artifact which demonstrates their understanding of complex concepts. By crafting a rubric that includes process, understanding, and product, teachers can successfully capture and assess students’ learning through making. In the comments below, please share your experiences in assessing maker projects.